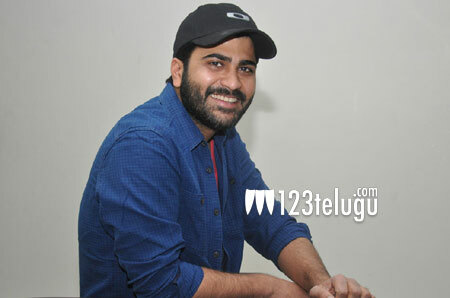 Sharwanand is one hero who has made it to the top by his sheer hard work and talent. On the occasion of his birthday tomorrow, we caught up with him for a detailed interview Let’s see what he has to say. Q) What is your birthday resolution this year ? Nothing much. I want to do more films without taking much gap from now on. This birthday is even more special as my previous film, Express Raja was a huge hit. Q) What kind of films will you be doing in the future ? I am looking at doing mostly commercial films with different approach and feel. Q) Why do you take such a long gap for every film ? I take a lot of time to okay the script. Once I am done with the script, I see that everything falls into place and then only take the film on the floors. All this takes a lot of time and that is why the gap. Q) Will you ever do an negative role ? Why not ! If I feel the role is good and gives a good scope for me to perform, I will surely do it. Q) When will you produce films in your own banner ? As of now, I am not producing any films in my own banner. Q) When will you be seen in a multi-starrer ? I would love to do a multi-starrer any time but am waiting for the right script. Q) What kind of films are you being approached off late ? I am mostly being offered love stories and concept oriented films these days. Q) What do you look for before signing a film ? I always look for something unique in the script and the way I will be presented. I also make sure that the film should be completely different from my previous films. Q) Who do you think is the best actress in town ? Nithya Menen is undoubtedly the best actress in town. Q) Which directors would you love to work with in the future ? I would love to work with Rajamouli and Puri Jagan and am eagerly waiting for the opportunity.